 This walkthrough provides a glimpse of the features that BugNET has to offer, provided as a step-by-step guide. If this is your first time using BugNET, this document is for you! This topic assumes that you have already installed BugNET and set up your website. If you haven’t, follow the instructions in Installing BugNET. When you’re logged in as an administrator, you will see two additional menu items, Admin and Host. To create your first project, select Admin -> Projects then Create New Project. You are then presented with the create new project wizard that guides you through the various steps necessary to create a new project. This step allows you to give your project a name, description and set basic project properties of the project. Allow Issue Attachments – All users to attach files to issues. Storage Type – Store attachments in the database or file system. This cannot be changed after project creation. When you create issues, you can assign the issue a category or component. These are added in a tree like structure where you can have a parent category and multiple sub categories. When you create an issue, you assign the issue a status such as In Progress or Completed. You can also associate an image with each status to help you identify them in the issue list or project summary pages. Is Closed State is used to identify issues that are complete and should show in the Change Log. You can have multiple status values representing closed issues. When setting a status to Is Closed State issues that have this status are displayed on the change log and road map views accordingly. Priorities represent the important of an issue, such as High, Medium Low. Milestones represent a grouping of issues by release, version or “milestone”. Release Date – The date in which this milestone was released. Completed – When a release is complete, it will no longer appear in the Roadmap. Notes – These will display on the roadmap and change log pages under the name of the milestone. Issue types identify the type of issue such as a Bug, New Feature or Task. Resolutions identify how the issue was resolved or fixed. Add users that are members of a project on this step and assign them a specific role. If you have set your project to private then only the people added as members will be able to see your project. There may be necessary information that does not fall into the preset values of BugNET, in this case you can add custom fields of a certain data type capture additional information about an issue. Field Name – Name that displays on the issue screen. Several security roles are added by default and can be modified as necessary. If you would like to auto assign users to a particular role when they register, edit the role and check “Auto Assign” then save the role.